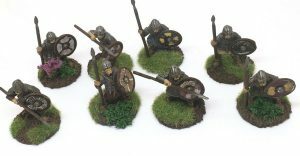 Today I want to show you my anglo-danish army for SAGA. 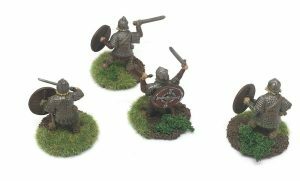 Unlike the Vikings the Anglo-Danish play less aggressive. Their abilities clearly favor more defensive tactics. In some scenarios this is an advantage, but sometimes you can have a hard time winning the game. But nonetheless they are fun to play. 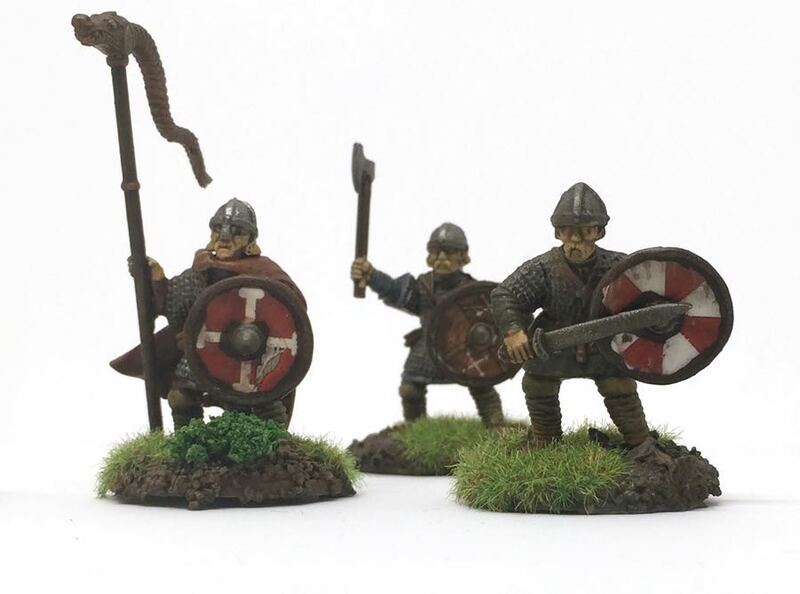 Like the Vikings, the Anglo-Danish are an infantry based army. So if you want to play cavalry or missile weapons, they are not for you. But if you like melee, then go for them. To build my army I bought a box of Saxon Thegns from Gripping Beast. The box contains enough miniatures to build yourself a decent warband. The miniatures are all plastic. Generally I prefer lead miniatures, but the Saxon thegns are nicely sculpted so it was okay. The assembly of the miniatures for the most part was quiet easy. 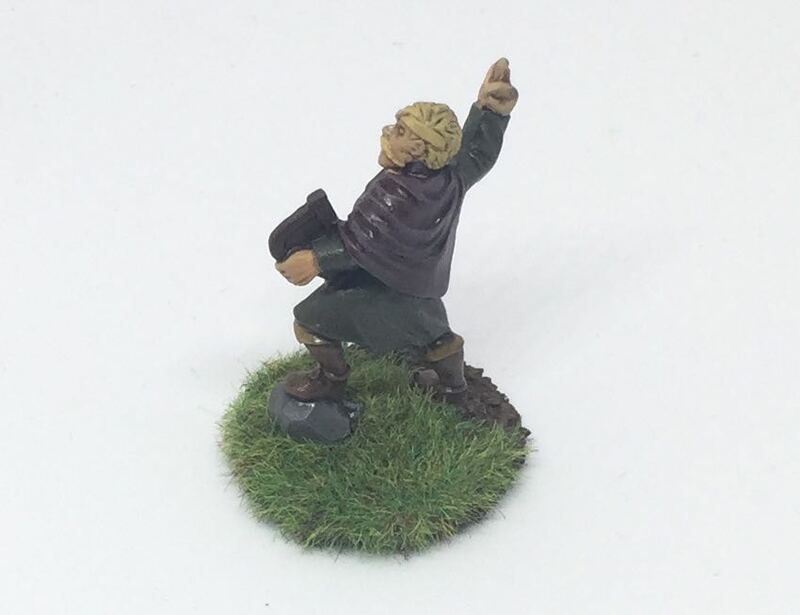 But some miniatures have a slightly strange pose. Especially the weapon hand sometimes tend to look a little odd. But considering the low cost of the army, I am totally fine with that. Warlord with Dane axe, from the GP Viking Hirdmen box. Some kind of command section. Hearthguard with Dane axes from the GP Viking Hirdmen box. 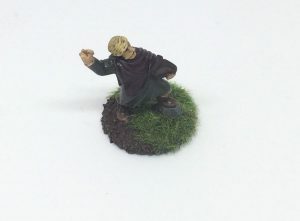 I bought the bard some time ago for my Viking army, but I never painted him. 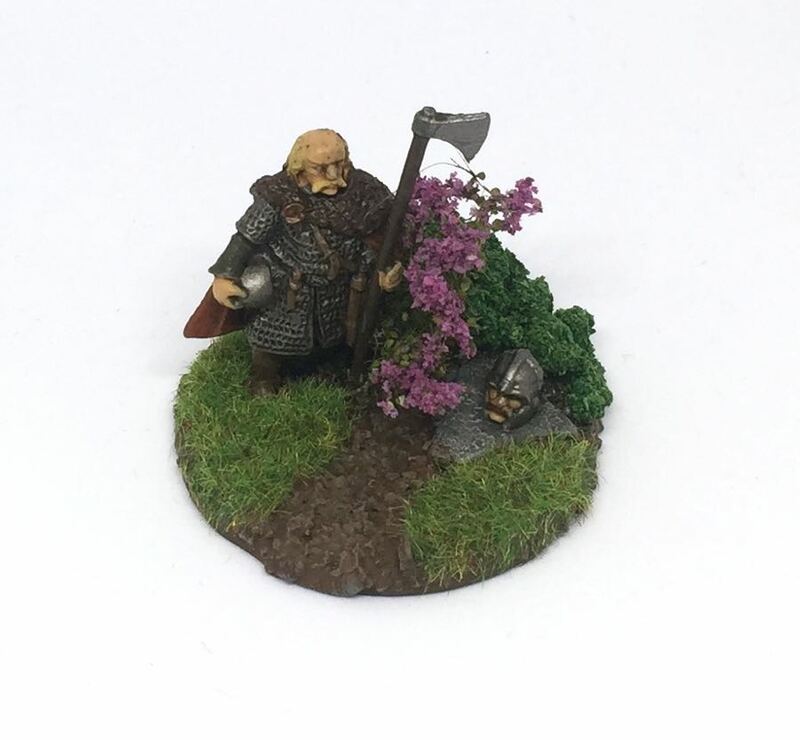 So the Anglo-Danish gave me the opportunity to finally paint him up. 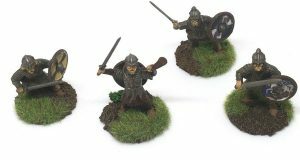 A few weeks ago I played my first game of SAGA with the Anglo-Danish and it was a blast. If you like the whole Dark Ages thing, then the Anglo-Danes are a nice alternative to the typical viking army. Finally I am quiet happy with the whole look and feel of the army. 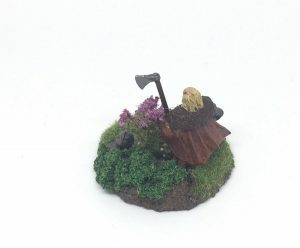 I’d love to hear what you think about the miniatures. Let me know in the comments. Thanks for your comment Rogério. Thanks for your comment Theodore. 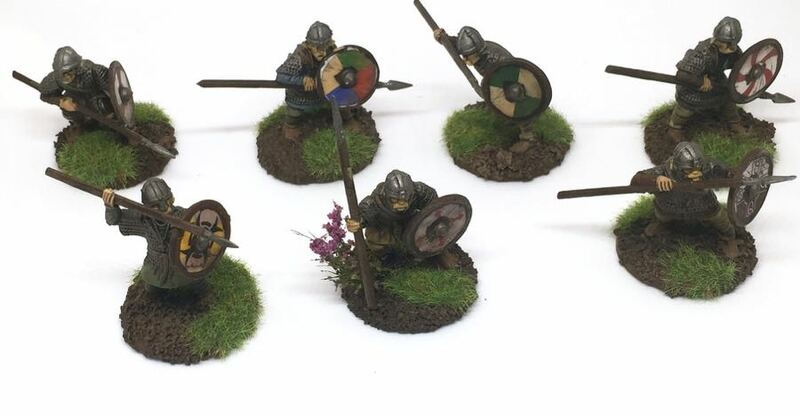 How did you assemble the hearthguard with Dane axes out of the Saxon Thegns box? 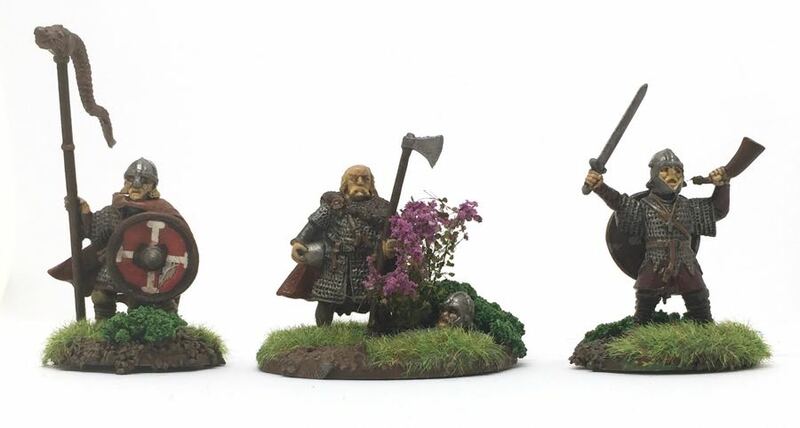 There are no Dane axes included in this box, much to my chagrin. 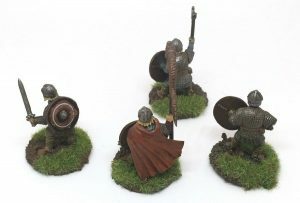 I can figure how to build two “single arm holding a Dane axe” by converting the available short axes to use a longer haft, using the open hand arms from the two command sprues in the box, but for the life of me I cannot figure how to make two additional hearthguard warriors wielding Dane axes with both their hands! Thanks for your comment Andrés. Unfortunately, I have made a mistake. 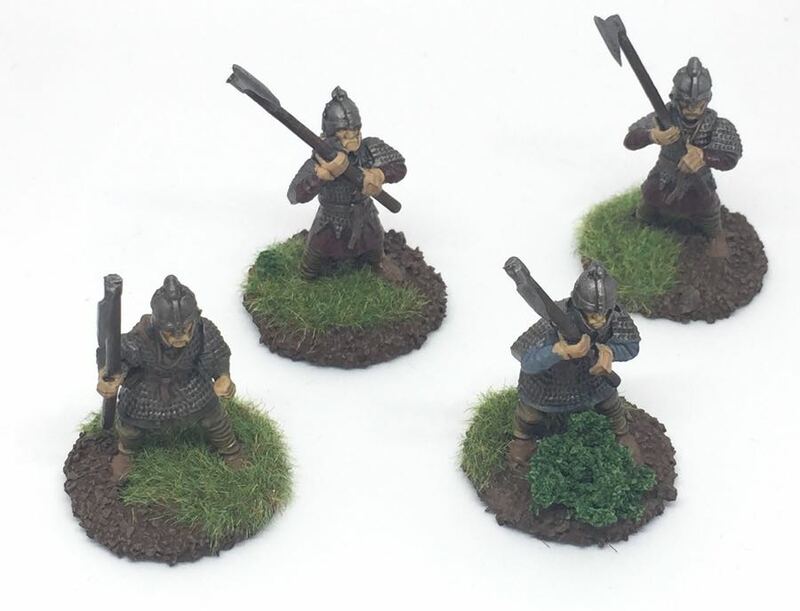 I took the Dane axes from the Gripping Beast Viking Hirdmen box. Sorry, about the hassle.